80,000+ businesses and services throughout the U.S. listed both in Japanese & English! Looking for a sushi joint near you? Trying to find out about your favorite anime? 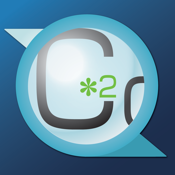 The CompassX2 App is here to help you! Use it to search for places to Eat, Drink, Shop, Relax, and Play! Results can be displayed in order of what’s closest to your current location or by category. Business pages contains general information, URL, hours, services, photos, and you can upload new photos! Check the reputation and popularity of businesses you find and rate them from your App. Find sales, discounts, coupons, & event information near you. Simply touch a phone number to call or touch a URL to jump to the website. 385 Van Ness Ave., #110, Torrance, CA 90501, U.S.A.